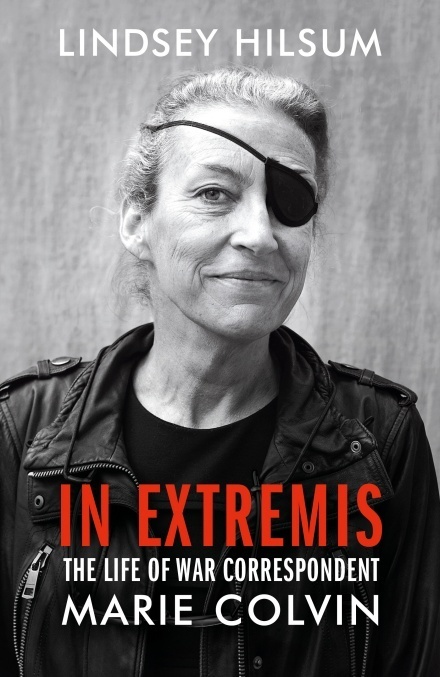 IN EXTREMIS: THE LIFE AND DEATH OF THE WAR CORRESPONDENT MARIE COLVIN by Lindsey Hilsum, has been shortlisted for the Plutarch Award 2019 from Biographers International Organization in the US, a literary organization devoted to biographers and biography. The award honours the best biography published in 2018 and is the only international literary award judged and presented by biographers. IN EXTREMIS has also been shortlisted for the Edward Standford Travel Writing Awards 2019 in the category of Travel Memoir of the Year.